What Gloves Do Pro Boxers Use? 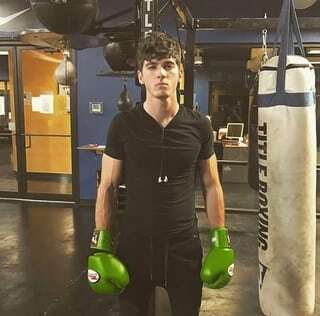 What is the Best Boxing Glove for me? 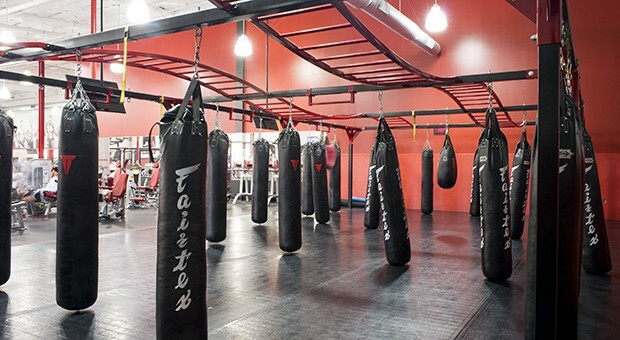 In the world of boxing, there are so many possibilities when it comes to training and training equipment. You want a training exercise that will take you to new heights, however, you also want the best equipment suited for your specific type of training. 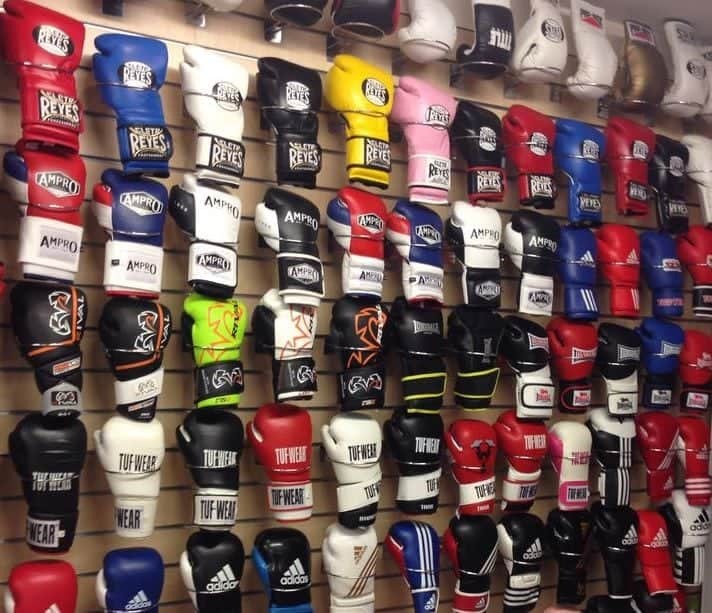 Many people are surprised to find out that there are certain types of boxing gloves for specific types of training. The gloves you wear in a competition are going to be much different from the ones you use for heavy bag training. If you’re constantly training on the heavy bag, then you’ve come to the right place. Training on a heavy bag daily can put a great amount of pressure on your knuckles, wrists, and forearms.It’s important to be fully protected while training on the heavy bag. If you need a glove that’s for all-around training, I highly recommend visiting “The Best Boxing Gloves for 2019” list. This wouldn’t be a “Best Boxing Gloves for Heavy Bag Training” without including the brands that professional boxers use. Most pros (and amateurs) prefer Winning gloves for training because they have some of the best protection in the industry. Even if you don’t have a lot of money, it is still worth it to save up the $300-$400 for Winning, they are easily worth every penny. 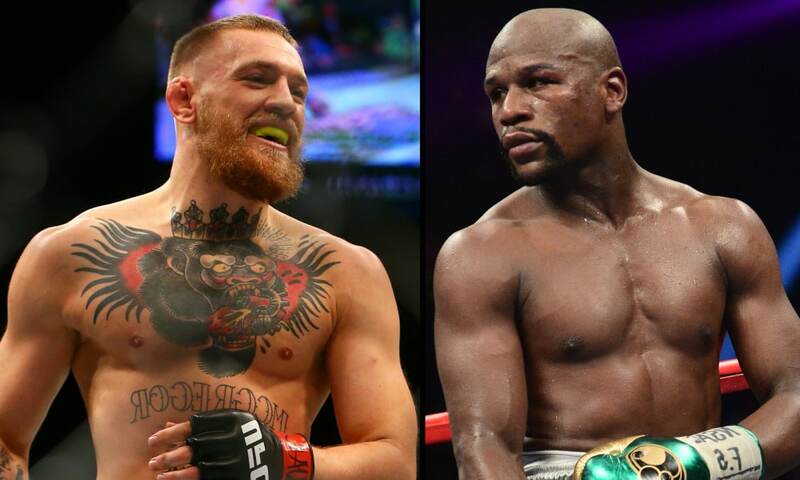 Older fighters or those with hand problems practically have no choice but to use Winning. Fighters that like Winning gloves but can’t afford them will default to one of the Mexican glove brands (Reyes or Casanova), which are still very high quality but more affordable. Boxers on a tighter budget will get one of the Fighting Sports models or Ringside IMF sparring gloves (which go on sale often). MMA guys or boxers venturing outside the traditional boxing brands will go for Hayabusa or one of the Thai brands (Fairtex or Twins). The most budget conscious will go for Title, really cheap but functional. The best gloves in the game are Winning. These are very expensive gloves and aren’t needed for beginners, so if this is your first pair of gloves I wouldn’t recommend this specific pair. Winning gloves offer both the Lace-up and Velcro options, with many colors to choose from so that you can find your perfect pair. These gloves are great for heavy bag training, as well as sparring. Winning boxing gloves are made in Japan under strict quality control and guidelines, these are top-tier gloves. I have personally worn a pair of winning gloves and have used them for a heavy bag session, let me just say they felt like gold on my hands. Usually, my hands and wrists hurt after a hard session, with these gloves on I didn’t feel a thing. I highly recommend Winning boxing gloves for heavy bag training, or any type of training. I can say confidently that the Winning Boxing gloves are the best boxing gloves for heavy bag training and are amazing for heavy hitters. Casanova is the best second option if you aren’t ready to go all in on Winning. A trusted glove hailing from a long tradition of boxing and excellent glove craftsmanship. Casanova gloves are known for their old-school aesthetic (UGLY), wide hand compartment, great knuckle padding, great wrist protection and is extremely comfortable. They feel amazing and support your wrists like no other brand. These gloves are a great high-tier glove, they are a bit pricey, but not too much for someone who takes boxing seriously. These Cleto Reyes boxing gloves have quality and craftsmanship that goes above and beyond many expectations. With so many different sizes and colors to choose from, it won’t be hard finding your perfect pair. These training gloves are manufactured under strict quality control in goatskin leather with water-repellent lining to keep the hands dry and comfortable as you reach your athletic and fitness goals. The Cleto Reyes boxing gloves feature a full hook & loop closure that allows you to take them on and off in seconds. This is the last ‘high-tier’ glove on the list. Cleto Reyes are absolutely amazing boxing gloves for both heavy bag training and sparring gloves. I personally own a pair of red Cleto Reyes hook & loop boxing gloves and absolutely love them for hitting pads and heavy bag training. These Title Gel World bag gloves are great boxing gloves for heavy bag training. A good alternative to the gloves listed above, the Title Gel is synonymous with boxing history. With an all leather outer and special hand compartment lining for cool, dry and comfortable wear, the Title Gel won’t let you down. Usually, I tend to stay away from “gel injected” gloves, however, these Title gloves are perfect for people who have problems finding a comfortable glove. These boxing gloves will keep your hands protected when you train on the heavy bag. The Title Gel bag gloves are one of the best boxing gloves for heavy bag training, these are great boxing gloves for heavy hitters. The Ringside Apex boxing gloves are an absolute game changer. The new IMF (Injected Molded Foam) technology is a complete game changer with the molded foam for superior protection. These gloves are super comfortable and supportive, perfect for training on the heavy bag. With multiple colors and sizes to choose from you shouldn’t have any trouble finding your perfect pair. Ringside has been a reputable brand in boxing for years so you don’t have to worry whether or not these gloves will do the job, because they will impress you every single time. These are a great ‘mid-tier’ glove for beginners or for people who have been boxing less than 4 to 5 years and need an upgrade from their first pair of gloves. The Hayabusa T3 Boxing Gloves are the newest Hayabusa model that is sure to impress. These are some of the most stylish gloves available today. Including a 5 layer foam structure that doesn’t require break-in. Designed to deliver the best performance for bag work and sparring. DUAL-X closure system provides a lace-like fit. Best in class wrist support delivered by the 4 interlocking splints at the back of the hand. Handcrafted with top of the line engineered PU leather delivers superior crack, abrasion and tear resistance. These are top boxing gloves for heavy bag training because of their high-quality design and amazing comfort. I realize Hayabusa is an ‘MMA’ brand, however, these gloves go above and beyond boxing standards for a good boxing glove. I highly recommend all of you boxing purists out there to try these gloves out. The Hayabusa T3 boxing gloves were made for heavy hitters. The Venum Impact Boxing Gloves are some of the most comfortable gloves available today. These gloves include triple density foam for better absorption and a full attached thumb to provide better protection. With multiple special edition colors to choose from, these gloves are sure to leave a mark. Made in Thailand so you know it’s a quality glove. Venum is another brand that is known in the ‘MMA’ game, however, these gloves are made under strict quality control in Thailand (home of Muay Thai). Not only are these great boxing gloves for heavy bag training, but they also are super comfortable and have so many amazing designs to choose from. I highly recommend looking at the Venum Impact boxing gloves if you’re looking for a glove that will do it all. These are some of the best boxing gloves for heavy bag training and heavy hitters. The RDX Ego Boxing gloves are great starter gloves for heavy bag training. These gloves are super supportive and have a friendly price tag. Designed using exclusive RDX Quadro-Dome Technology to equally disperse force throughout the area of impact. Resilient Maya hide leather construction makes these boxing gloves stubbornly durable and long-lasting. RDX Ego Boxing Gloves are some of the most affordable boxing gloves for heavy bag training. The Twins Special Boxing Gloves aren’t just for Muay Thai and Kickboxing. These gloves are specifically made for hard training, perfect for the heavy bag. The heavier gloves provide for a rigorous workout and the attached thumb design prevents injuries. The Twins Special are great boxing gloves for heavy bag training. These gloves are known for as Muay Thai gloves because Twins Special is a Muay Thai brand, however, these gloves are great for the heavy bag. The Twins Special Boxing Gloves are great for heavy hitters. Fairtex always delivers when it comes to quality. The Fairtex Boxing Gloves include a brand new design of pattern and padding that makes the weight very consistent and correct. Made of “Micro Fiber” which makes these gloves an odorless material, endurable, flexible, soft and smooth touch. Fairtex is an amazing brand out of Thailand, who are known for their amazing Muay Thai products. These gloves go above and beyond many ‘Boxing’ brands to deliver an overall great boxing glove for heavy bag training. The Fairtex Boxing Gloves are one of the best boxing gloves for heavy bag training. Your hands are your most valuable asset when it comes to boxing, shouldn’t you protect them? The hands are made up of many small joints and small bones that could easily fracture from the impact of repeated punches. Hand wraps are there to hold your hand together providing support for your wrists, fingers, knuckles, and the entire hand itself. I ALWAYS recommend wrapping your hands, especially when training on a heavy bag. The Sanabul Boxing Handwraps are the only hand wraps that I personally use. These are great for boxing, kickboxing, MMA or anything else you can think of combat related. With over 10 different colors to choose from you could have a new color for every single day you train. Please be sure not to wash them together because they will become tangled up. What would this article be without including Everlast boxing hand wraps? These have great protection and of course, you can’t go wrong with the iconic all-black Everlast look. If you’re a boxing purist, these hand wraps are a must have. Some people will just naturally prefer hand wrap mitts over the traditional hand wraps. This is completely fine and saves a ton of time. These RDX hand wraps are some of the best in the business. If you want to save time wrapping your hands for a quick workout, these RDX hand wraps are for you. Whether you agree with this list or not, there is a perfect pair of boxing gloves for everyone on this list. Whether you’re a beginner boxer that wants your first 16oz pair or you’re a seasoned vet who needs the top quality, you’ll find it on our Best Boxing Gloves for Heavy Bag Training list. Every glove included on this list are great gloves for heavy hitters. Please continue to visit The MMA Guru whenever you’re looking for the best MMA, Boxing, Muay Thai, and Jiu Jitsu product knowledge and guides.